MERCEDES — A Texas Department of Public Safety trooper arrested a Mercedes police officer last week on suspicion of driving while intoxicated. Angel Serrata, 27, was arrested at about 2:33 a.m. Tuesday, Nov. 28. A trooper stopped Serrata for driving 11 miles per hour over the speed limit on Farm-to-Market 88 near Mile 14 North Road south of Elsa, according to a criminal complaint. Serrata “showed signs of intoxication” and performed standard field sobriety tests “poorly,” according to the complaint. When asked to provide a blood sample for testing, Serrata refused, the complaint reads. A judge charged Serrata with driving while intoxicated, a Class B misdemeanor. It’s his first offense. Serrata began his career in law enforcement when he was hired by the Mercedes Police Department in 2013, according to Texas Commission on Law Enforcement records. Police Chief Olga Maldonado said he has since resigned from the department. Justice of the Peace Bobby Contreras set his bond at $1,000. 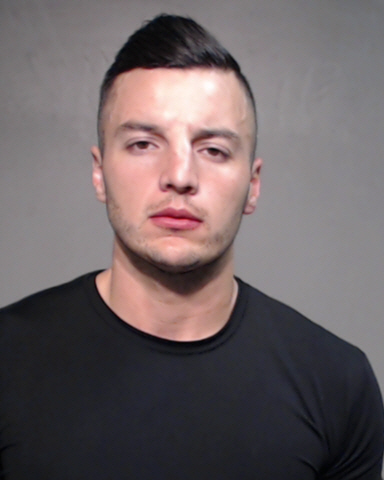 Serrata posted bond and was released from the Hidalgo County Jail the same day as his arrest.